And now for something completely different. 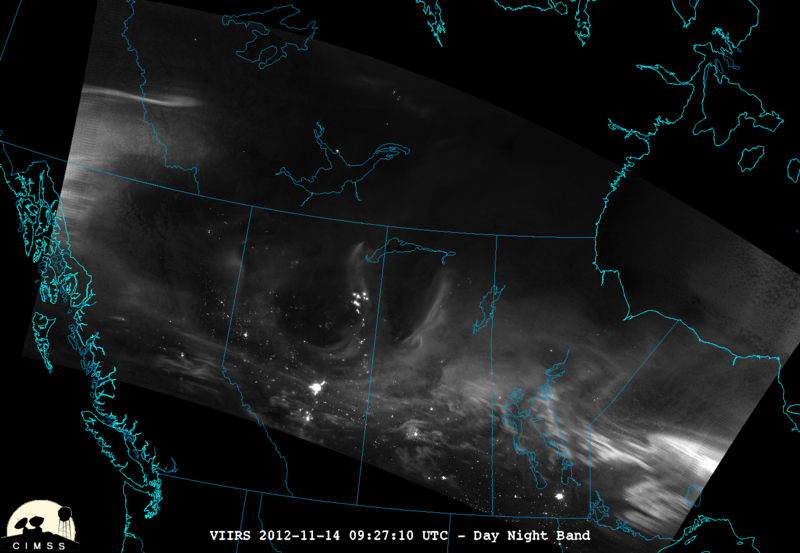 . .
One very cool aspect of my job with GOES-R is being able to share some very unique satellite imagery to everyone, including friends and family. Below is a blog post I wrote for my work blog. Enjoy! 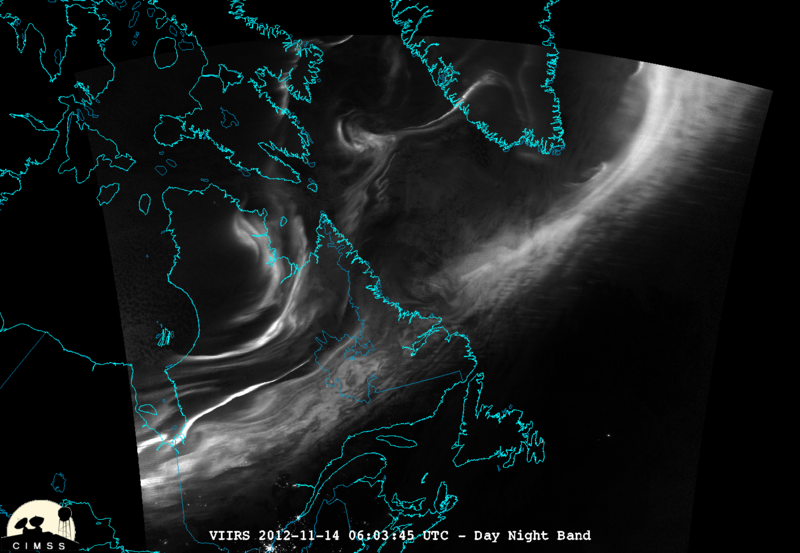 I received some very interesting imagery from William Straka III (CIMSS/SSEC/U. 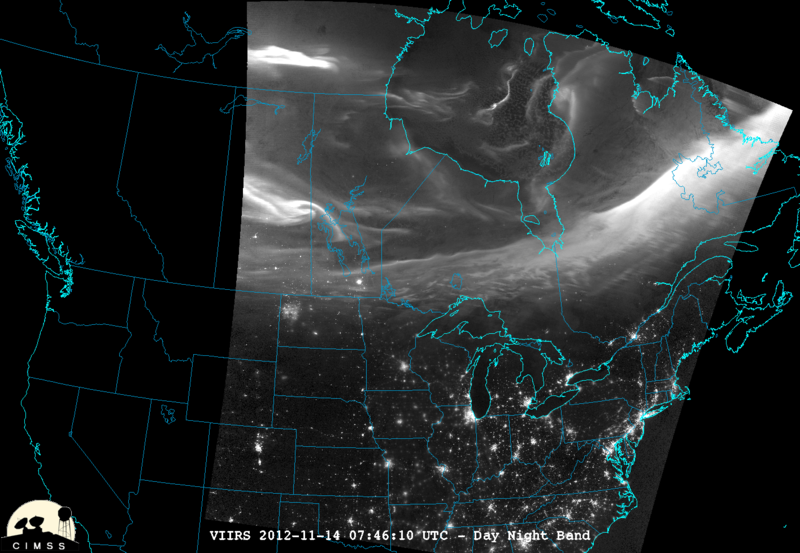 of Wisconsin-Madison) the other day which shows a satellite view of the recent Aurora Borealis event in Southern Canada, but also seen in the northern U.S. 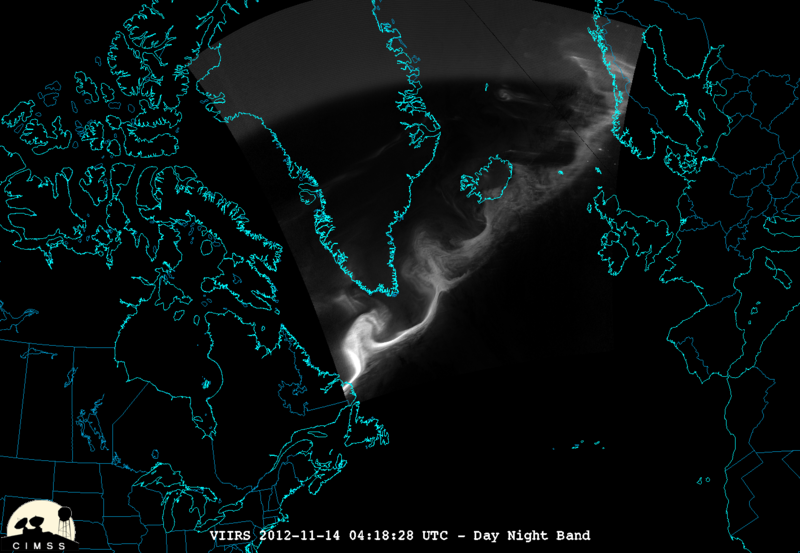 The Suomi NPP VIIRS Day-Night Band picked up the Aurora event rather well as you can see below. Although not necessarily meteorological, it’s amazing what this new instrument will be able capable of providing over the next few years. Next Post Snow on the horizon? Yeah, some days I really like my job. . .